Windows Syobon Action (unknown) in 01:51.63 by jlun2. 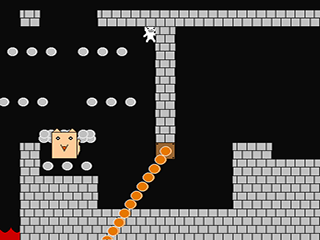 Also known as "Cat Mario", Syobon Action is an extremely difficult mario-clone platformer that usually takes many tries to complete. This run aims to do so in the fastest possible time.